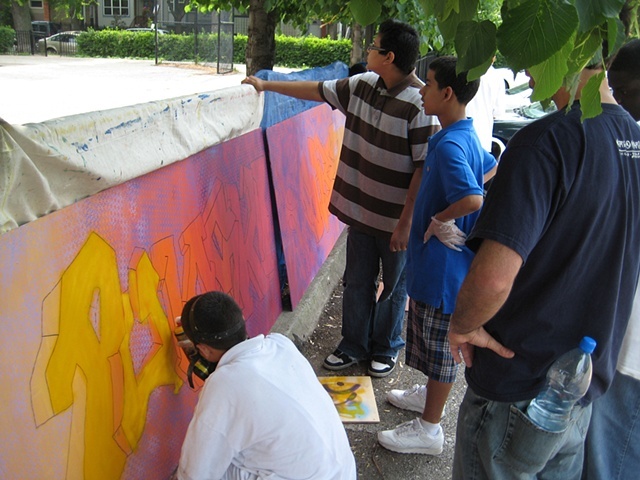 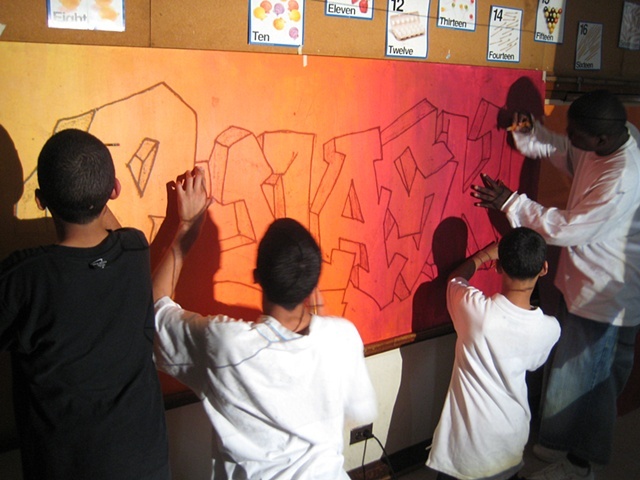 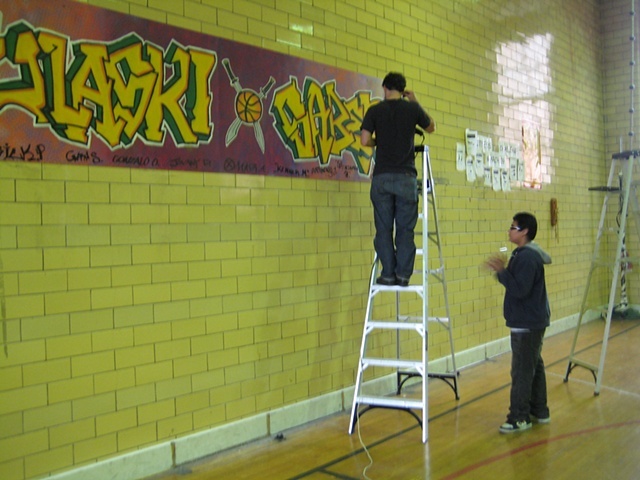 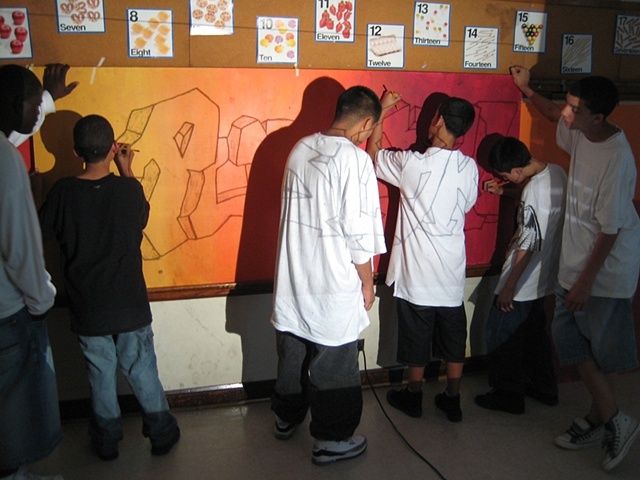 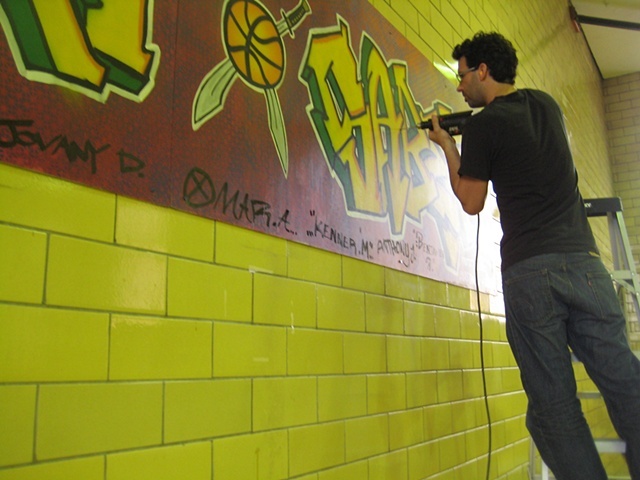 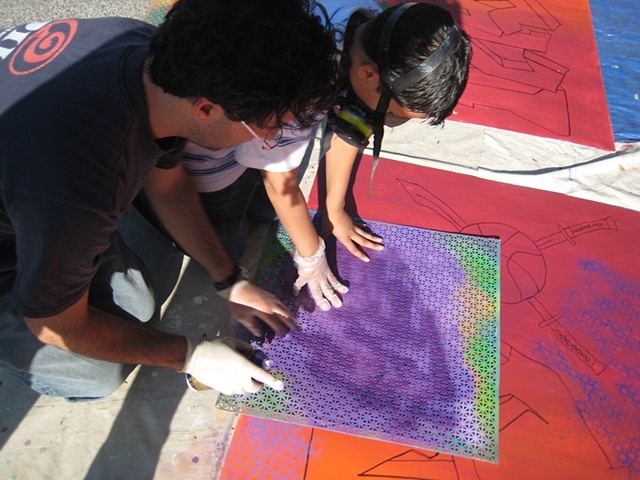 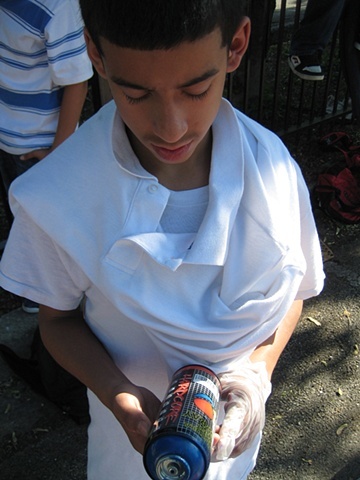 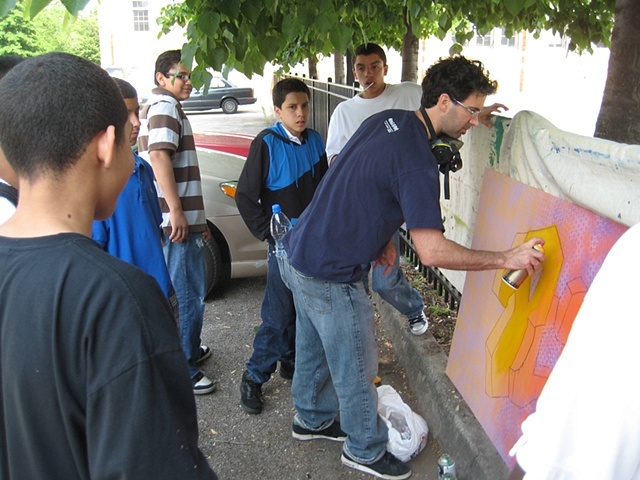 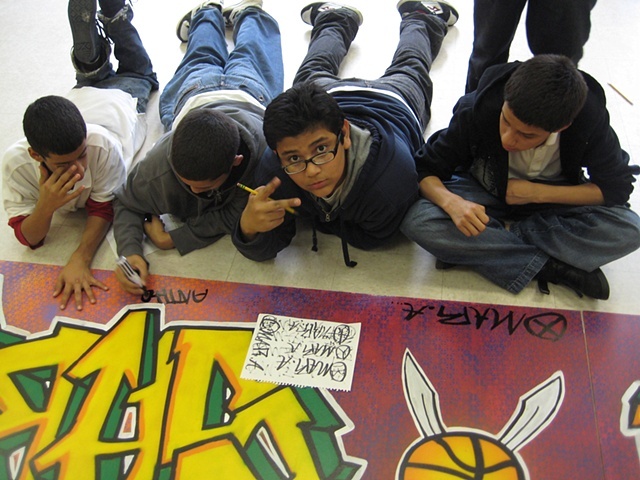 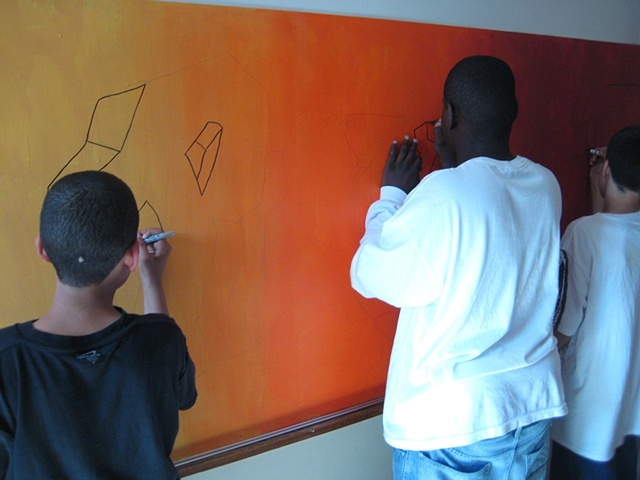 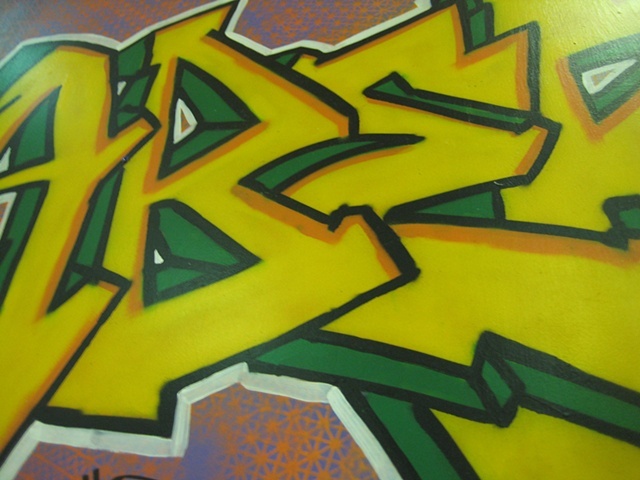 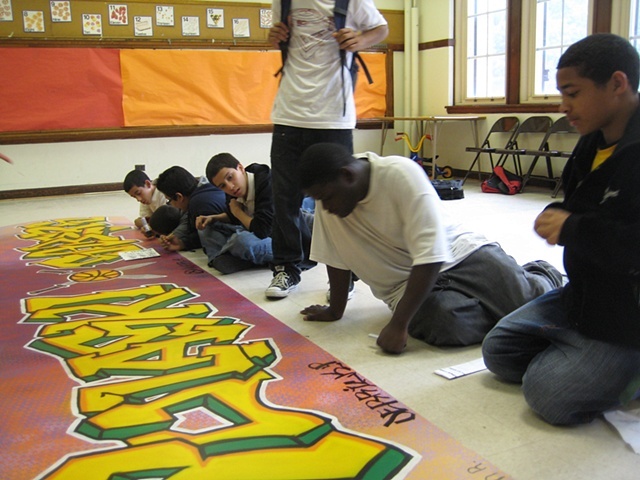 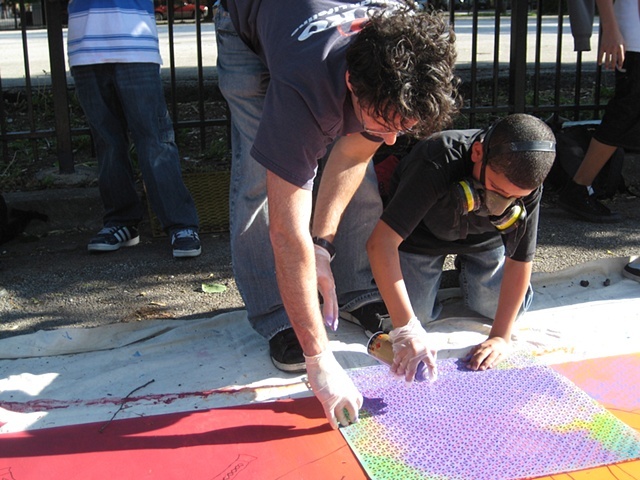 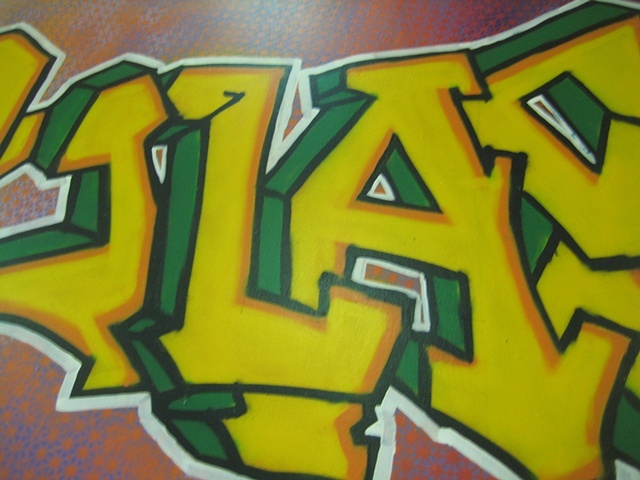 I taught a graffiti-art-street art class at Pulaski school in the spring of 2009. 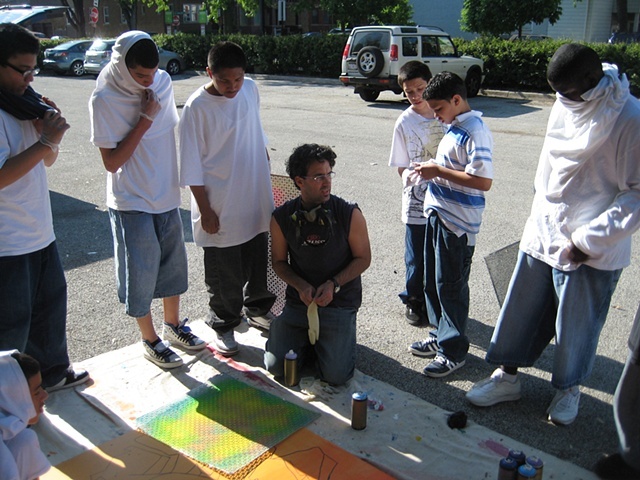 It was a new experience for me and for the kids, but I will admit that the outcome is pretty darn fresh. 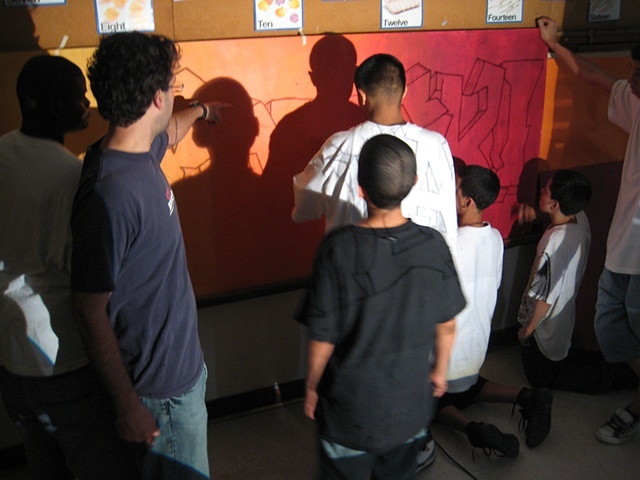 Lea Pinsky co-taught the class with me. 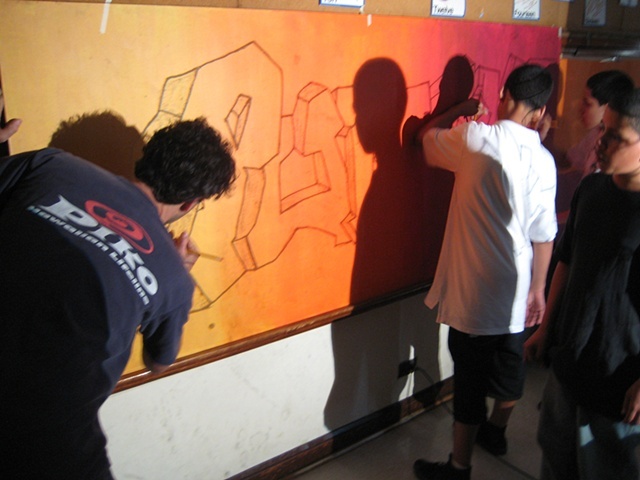 ROME WON came in one day to talk, give a slide show, and help them with some of their styles in their sketch books. 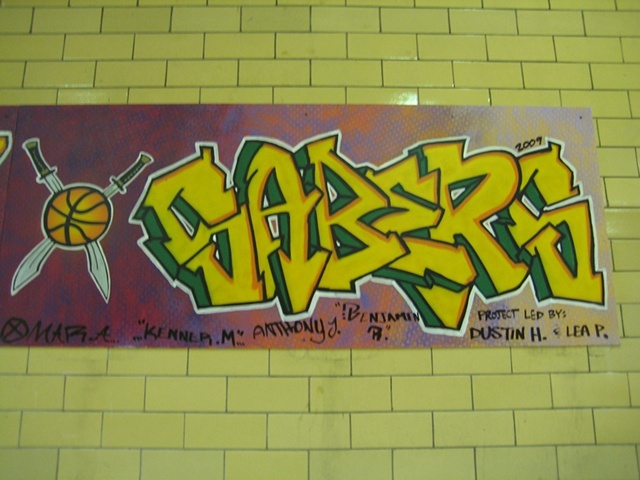 Here are some photos. 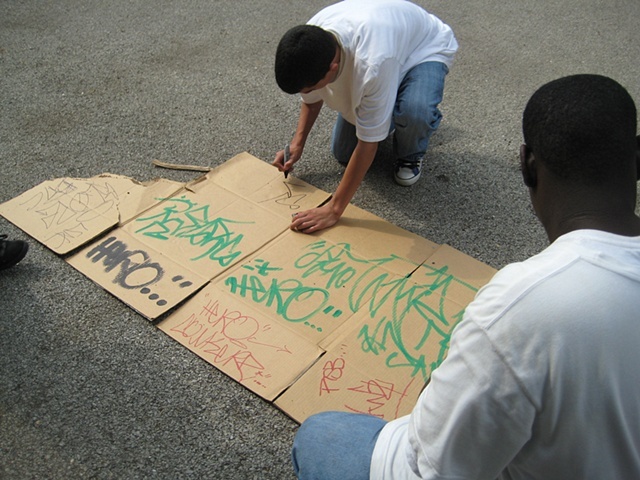 More documentation of the class and stories coming soon. 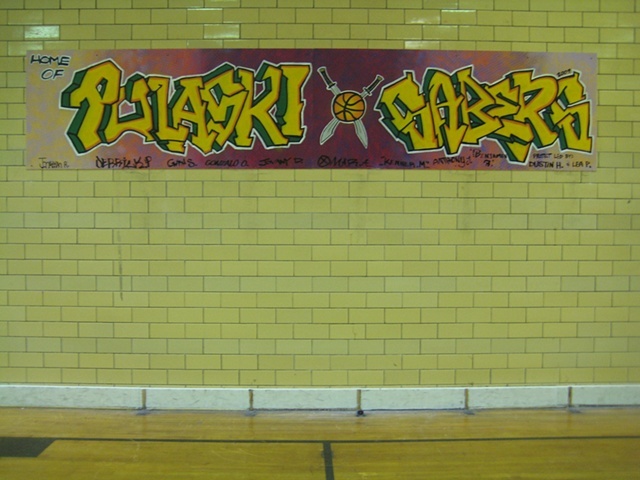 The class with the final piece. 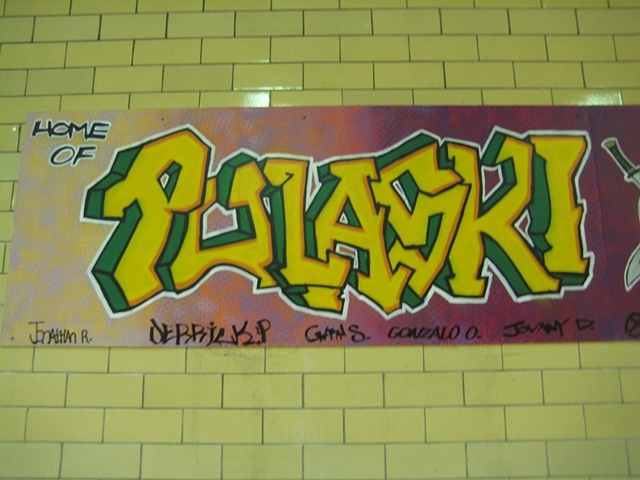 The mural installed in the gym at Pulaski Fine Arts Academy.